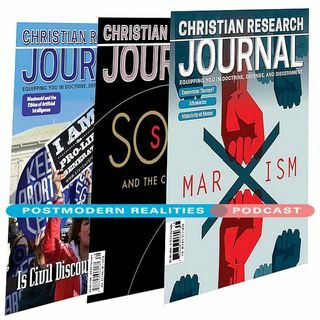 Postmodern Realities Episode 042 - "When Freedom of Expression and Emotions Collide on Campus"
A battle over free speech dominates the newsfeeds of online media. The rhetoric grows harsher as two sides seek to establish competing narratives. Are our universities dominated by a privileged class that forces vulnerable minorities to study in a hostile environment, or is the problem really that emotionally fragile students cannot handle dissenting opinions without experiencing emotional meltdowns? It can be difficult to establish a clear definition of safe spaces or to determine limits to ... See More the right of students to govern their participation in curriculum they find troubling. Any effort to communicate is frustrated by different sides using similar moral terminology with different meanings, one objectively grounded and the other emotionally grounded. We must recommit to understanding universities as institutions aimed at fostering open dialogue in pursuit of knowledge and truth.The Bible offers examples of countering bad speech with good speech through the examples of both Jesus and Paul. We cannot become so afraid of offending others that we cease to equip the next generation. This podcast episode is a conversation with author Jay Watts as he answers questions including What are safe spaces and trigger warnings? Does this issue transcend the normal conservative versus progressive liberal dynamic that so often plays out in cultural conflict? Does commitment to freedom of expression mean that everyone must be allowed to speak? Even Nazis?